Is credit card the devil? Credit card horror stories are not rare. They have proven to be trouble for so many people around us. Bringing down CIBIL scores, getting loan applications rejected, rendering credit card possessors sleepless and creating other havoc inducing activities in people’s lives. The devil has many forms. Red horns and scary features are history. These days they are more inconspicuous and often have a friendly appearance. They sometimes resemble the shiny cards sitting pretty in your wallet. Oh wait! Is that credit card the devil itself? Credit card horror stories are not rare. They have proven to be trouble for so many people around us. Bringing down CIBIL scores, getting loan applications rejected, rendering credit card possessors sleepless and creating other havoc inducing activities in people’s lives. While they do seem like the origin of these troubles and numerous articles have been written warning us about the mess they are capable of creating, the question is, are they really to be blamed? Or are we missing something here? Read on to find out. The debt abyss is apparently the deep dark place, from where is it difficult to return. Every attempt at escape is a push against the piling interest monies! Credit cards are often the reason people find themselves in this dreaded place. In fact, first time credit card users are warned by parents and well-wishers that they may be stepping into a debt trap! It begins with a missed repayment date. A slight delay in repayment and we sink into a false comfort zone. Penalty payment seems sweeter than timely payments. And when that hurts, delays turn to defaults. Interest begins to accumulate and the debt pit gets deeper. If only we would have stuck to the repayment schedule. #2 A reason for rejection! There are so many reasons for loan rejection, but reasons due to credit cards stand out due to how often the reason is attributed to this factor. Credit card limit amounts available to us are basically credit lines. The more the number of credit cards we sign up for, the more in number, open lines of credit are reflected against our name. The credit available to utilized ratio is monitored by potential lenders. Also, the probability of delays and defaults increases with the number of cards, since tracking can be difficult. Poor management of credit cards gives rise to such issues which may cause rejection of loan application. #3 Damages the CIBIL score! The CIBIL score is a reflection of our credit history and behavior. Every delay in credit card payment is captured by the score and has a negative impact. It also tracks, if an individual has been availing credit often. It shows that the borrower has unplanned expenses and requires frequent access to credit. Hence, hoarding credit cards is not a good idea. Also, if the entire credit limit is being utilized month on month, it brings down the score. This shows that granting additional access to credit may give rise to repayment issues. It is not the credit card which damages the score but what we choose to do with it! Gone are the days when people used to count and carry cash in their wallets. Any prospective purchase was evaluated by tallying the price with available cash. Well times have changed and cash has been replaced with cards. 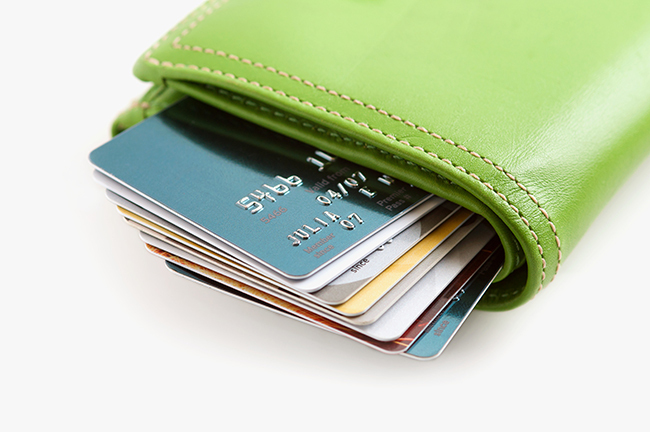 Credit cards have granted easy access to credit to individuals. So basically, anyone could now spend right away and worry about making the actual payment at the end of the month. This works great, as long as the repayment is done on time. Here, sticking to the budget is key. Do not let the available credit limit guide your expenses. Exercise disciplined spending habits and stop blaming the cards! #5 Irresistible offers and temptation! Credit cards come with offers, which are hard to refuse. Starting with free sign up’s, nil annual fees to cash backs, bonus points, air miles and more. While choosing the credit cards study the offers and pick the ones which suits your lifestyle the best to get maximum benefit. Credit card companies will continue to roll out lucrative offers but don’t let that be a reason to sign up. Choose not to give in to temptation and handle those cards smartly! One of the devils favorite tricks is, pushing the blame on someone else. And you see that is exactly what is happening here. Credit cards are mere conduits! The temptation lies in us. When it comes to money matters, don’t let emotions guide your actions. Plan ahead and ensure disciplined execution. Tame your temptation and make those credit cards work for you in positive way!